If 3D printing is truly going to revolutionize how we produce everything from cars, to computers, to weapons, it's going to have to move past the current limitations of plastic as a printing material. And what better place to start than a next-generation 3D printer that extrudes liquid metal? That's exactly what researchers at North Carolina State University have developed, and it could be the next big leap in 3D printing technology. Turning strands of plastic into a malleable goo that can be squeezed through a tiny print head doesn't require a heck of a lot of heat. Metal, on the other hand, requires giant foundries and furnaces to reshape and mold. 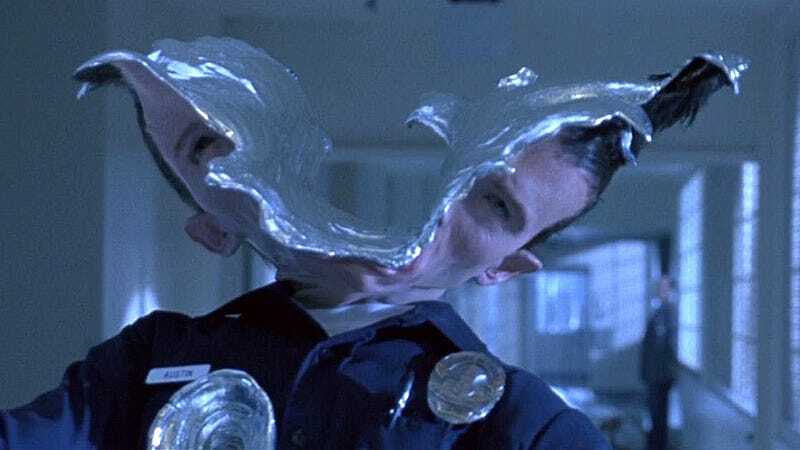 So the researchers at NCSU, led by Michael Dickey, developed a special metal alloy that's already in a liquid state at room temperature. Made from a mixture of 75 percent eutectic gallium alloy and 25 percent indium, when the material is exposed to air something neat happens: a thin outer layer of gallium oxide is formed, allowing the extrusion to hold its structure and shape. 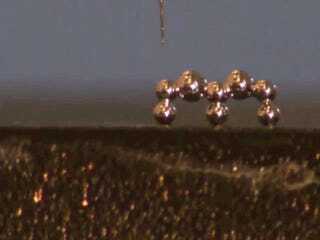 In a way, you can think of the small beads and long cylinders this 3D printer creates as tiny water balloons, but filled with liquid metal instead of H20. And the thin gallium oxide outer layer is not only flexible—allowing the extrusions to be further molded and shaped—it also conducts electricity so it can be used as wires or other components of electronics.